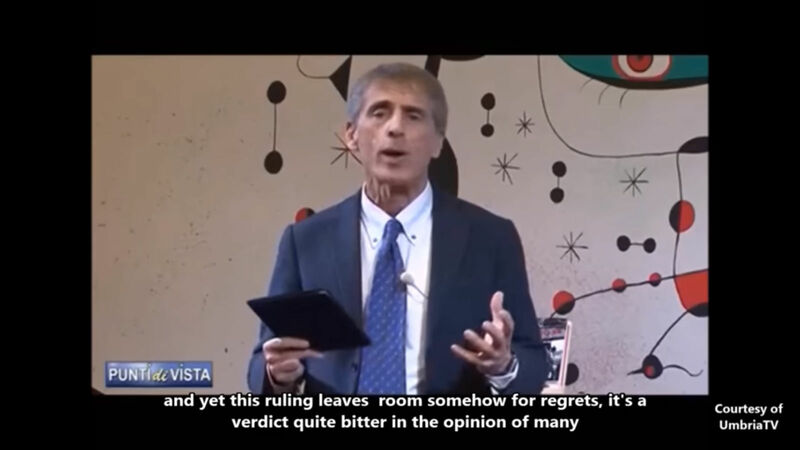 In the opening sequence the host gives a general overview of the story, including the worldwide dissatisfaction with the outcome of the trial – Amanda Knox and Raffaele Sollecito acquitted leaving Rudy Guede alone convicted of the crime. This, as the show points out, leaves everyone with the opinion that justice was not done. 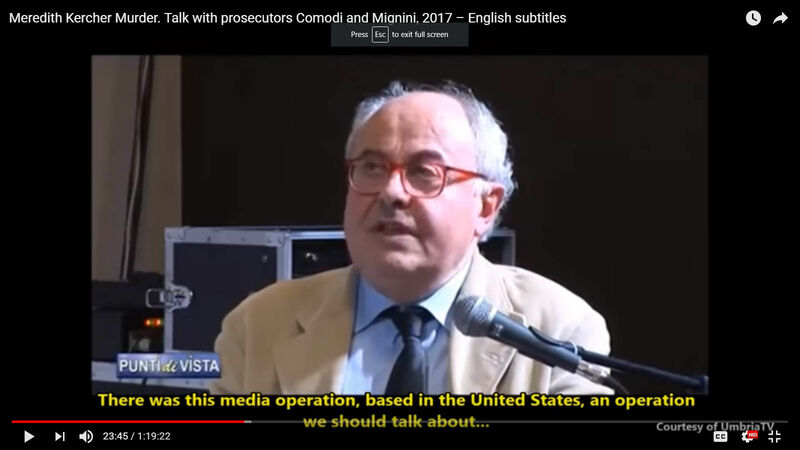 Giuliano Mignini, defamed repeatedly by Amanda Knox’s supporters (public relations firm) over the years, takes time to explain some of the differences between the U.S. and Italian legal systems. In the U.S. jurors are lay people and the verdict is often final after one trial. 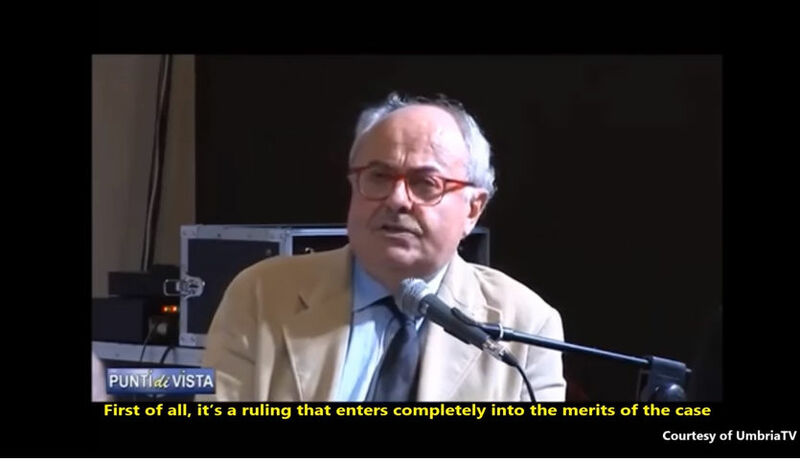 In the Italian system, the jury is comprised of judges/lawyers as well as common people and there are always multiple appeals from both sides. Furthermore, he said the final judgement was based on incorrect assertions. Also the final judgement conflicted with a previous Supreme Court judgement on the case – the one which annulled the first acquittal by Hellman. 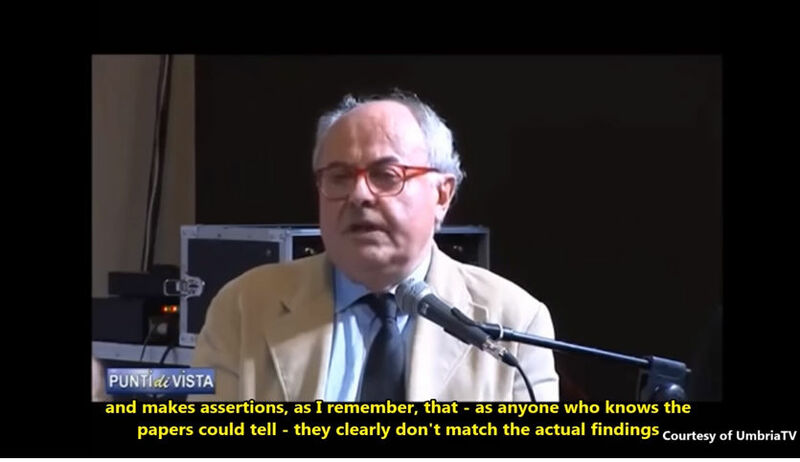 Some of the most widespread misinformation about the case was clarified in this interview. They pointed out that the bra clasp was not forgotten but collected at a later date, along with other pieces of evidence which were covered with blood to be able to test them accurately. There was no contamination of the crime scene and the short clip of a video showing the bra clasp handled was taken out of context and therefore misleading. It was proven in court that there was no contamination but the defense lied and claimed that they didn’t have a copy of the controls (showing no contamination) from the records of the earlier trial. 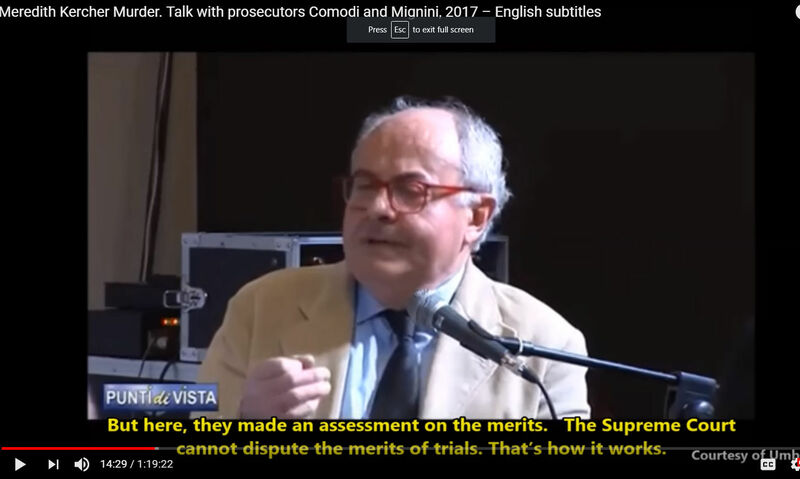 Mignini points out that the defense claiming that “anything can happen” with contamination of DNA was a mantra that was repeated in the media, particularly the American (PR) media, falsely claiming that contamination occurred. It was never proved that any contamination took place but there was proof that it hadn’t taken place. 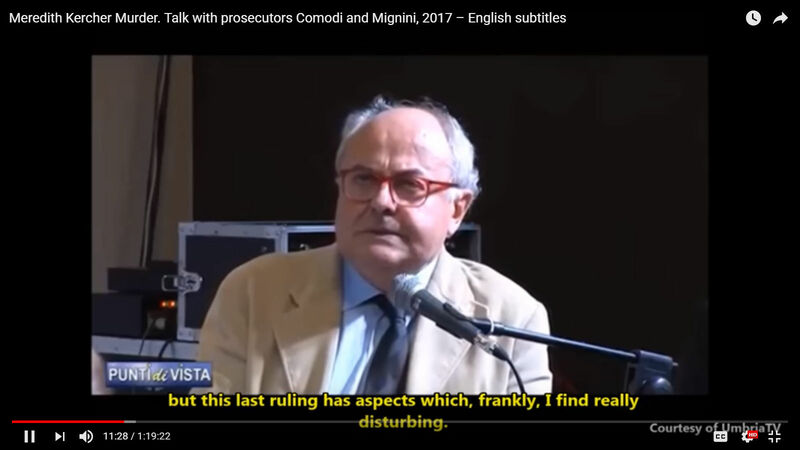 Mignini also disputes Amanda Knox’s claims that she tried to help the police. He points out that the British friends of Meredith were very helpful and never complained even when required to return for hours of questioning. But Amanda Knox complained all the time about everything. She was most unhelpful. 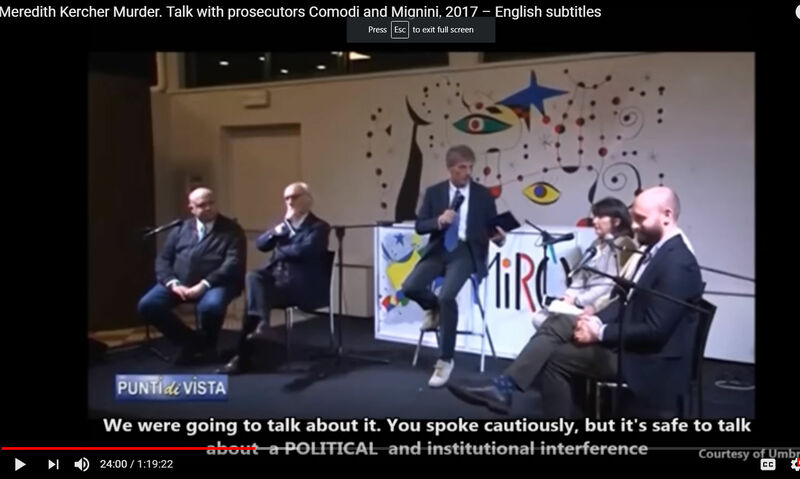 The enormous efforts of the mainstream media outlets and pressure on political figures in the U.S. which blindly took Amanda Knox’s side has left a stain on U.S. and Italian legal relations. They pointed out that Amanda Knox was allowed to return home to Seattle after her first acquittal and was not required to attend the next trial which found her guilty. However, when an Italian is arrested and detained in the U.S., he is never allowed to go home when facing a trial. 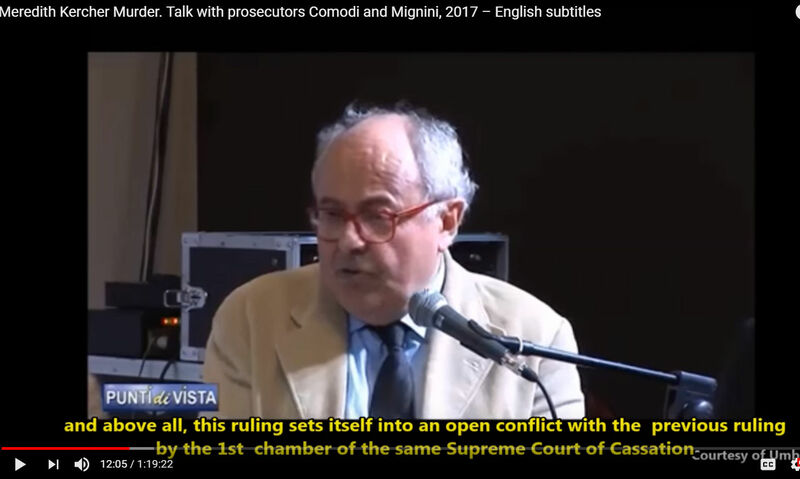 This joint public relations efforts of media and political pressure appears to be the real culprit behind the final outcome of this trial which acquitted Amanda Knox and Raffaele Sollecito. 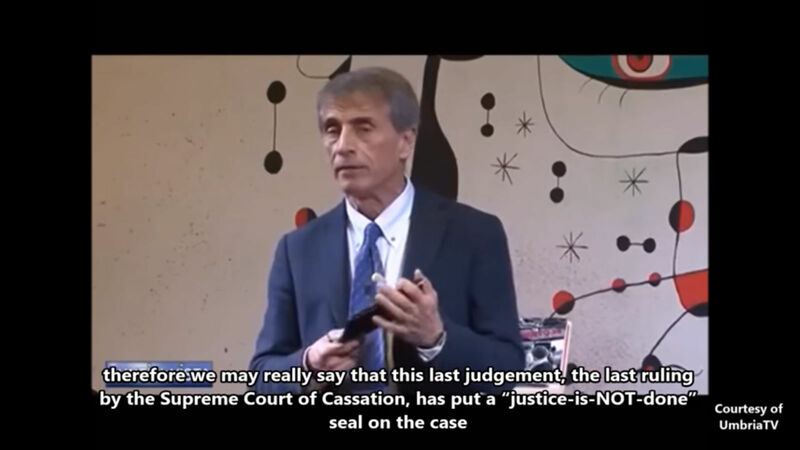 This case has not only left things on a bitter note, as the show says, since justice was perverted but it also casts a shadow on future legal relations between the U.S. and Italy. Not an easy task for an American, easy for any European to see through PR and political agenda. Take your pick, Good Luck! Long live the European Republic. First and last resort of humanity. Free Germany, Free Assange!